Write a story in which a protagonist undergoes a transformation in the search for self. Have your character encounter basic questions about his/her identity. This entry was posted in Pingo Lingo and tagged blog, encounter, English, English 9, form, iblog, image, images, language, letter, Man, plato, question, self, stj on May 9, 2007 by Mr. D. Sader. This exercise is simple: write a poem about a family member meeting a famous person. All of us have such incidents embedded in family history or folklore: the day Dad shook hands with Ike in France; the time Mom spilled coffee on Elizabeth Taylor in a pizza parlour in San Mateo; the night Aunt Dottie caught Elvis’s scarf when he tossed it from the stage of The Rushmore Plaza Civic Center. In most cases, our loved ones’ encounters with the famous or powerful tend to be fleeting and bittersweet, however memorable they may later seem — and it’s this aspect of the encounter that helps us to envision our family members in contexts that avoid easy sentimental gestures. These are situations that, in a small way, the forces of public history and private history collide, and these meetings help us to see our loved ones as individuals, not as types. The family member, not the famous person, should of course be the protagonist of the poem and it is his or her consciousness that the poem should try to enter or understand. The writer of the poem should be an effaced presence, understanding the inner workings of the family member’s mind but seeing the family member as a character referred to in the third person (“my father” and not “Dad,” in other words). Since the exercise tends to demand a fairly complex profile or portrait of the family member in question, it is best suited to longer poems — at least 30 lines. This entry was posted in Pingo Lingo and tagged archetype, archetypes, context, diction, Emily Brontë, encounter, English 9, father, history, image, images, individuals, Man, poe, poem, poems, question, understanding, wit, writer on May 8, 2007 by Mr. D. Sader. 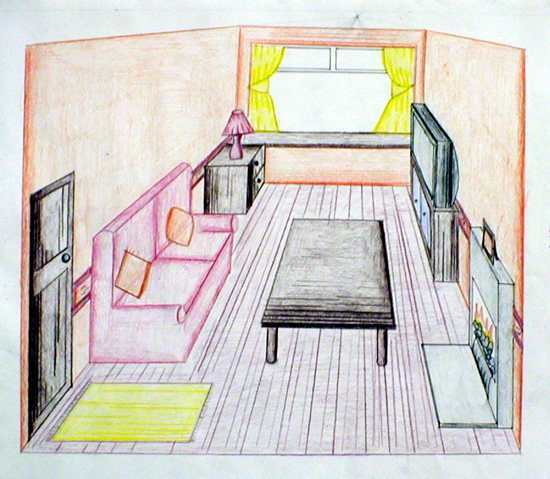 Use pencil crayons to draw a picture of your mother’s kitchen. Put the oven in it, and also something green, and something dead. Write a poem about your mother’s kitchen. You are not in this poem, but some female relation – aunt, sister, close friend – must walk into the kitchen during the course of the poem. Completed poems, with a suitable image(72 dpi, png, lightbox), should appear in your blog and trackback here. A lesson on single point perspective. Hint: Tiles need an extra diagonal, too. This entry was posted in Pingo Lingo and tagged blog, English 9, image, images, poe, poem, poems, right, something, use, wit on May 3, 2007 by Mr. D. Sader. Given that what we experience of reality is merely a simulation in our minds, then all art is a simulation of a simulation. In our engineered age, an age of HDTV, megapixels images, colour laser printers, virtual reality, 3D games, are we moving toward or away from art forms that Plato would consider more useful? Can a form of communication, art, be enhanced to the point that it is no more than a mirror of reality? If art is supposed to mirror reality, wouldn’t a mirror be the cheaper way to go? Mirrors, we’ve talked about mirrors. Hmmm. This entry was posted in Religious Studies 25 and tagged Believing is integral, communication, form, image, images, plato, print, reality, Religious Studies, Truth and religious community, use on February 2, 2007 by Mr. D. Sader. Flickr changed how you access your images in early September. So I’ve updated the plugin. You’ll need to have an “API Key” and a “Shared Secret”, now. It is a good idea to put images on Flickr instead, or in addition to, stj servers. Flickr badges are cool, too. Do not activate the Flickr plugin if you don’t have a Flickr account. You lose the ability to browse your blog’s upload folder while Flickr plugin is active, I still don’t know the fix. Look here, see if you can find a fix, too. This entry was posted in Pingo Lingo and tagged ability, blog, Blogging Tips, change, Graphic Tools INF01040, group, idea, image, images, Photo Albums, stj, Troubleshooting on October 14, 2006 by Mr. D. Sader. Help with the graphics for our Senior Girls ASAA Championship website. We can do better, I know it. The images you use to create the header MUST be “public domain” such as those from freefoto.com. I prefer 100% verifiable original artwork. If I am in doubt, your submission will be trashed, so be certain your images are “free”. I lean towards images incorporating Spartan volleyball players (ask me about FOIP ) or images from the school, surroundings, landmarks around Vermilion. Use your own camera for pics from around town/park/river, I have a scanner so images can be digital or film to start. Contribute your final images in their multi layer original .psd format AND compressed and flattened in .png format. Final images must load quickly, less than 10kb preferred. This entry was posted in Pingo Lingo and tagged Final, form, Graphic Tools INF01040, image, images, stj, submission, use, wit on June 9, 2006 by Mr. D. Sader.